I hadn't killed anyone all winter, and i have to say I felt pretty good about that. Sure, I'd wanted to, but too many suspicious drownings got people talking. Fearful townspeople were the last thing I needed. Besides, I was getting a sick thrill out of denying my body what it craved. Self-control was my latest obsession. I doubted my sisters could say the same thing. The urge to migrate was irresistible. Far more powerful than the urge to kill. With each rise and fall of the moon, with each turn of the tide, it grew more impossible to ignore. As my hands pierced the surface, the icy temperature sliced through my skin, upward and outward, like a thousand razors. My heart constricted, and my mouth contorted with pain. White blossoms of clean bright light bloomed in my field of vision Water filled my hears with tiny ringing. The freezing water crush my lungs, and I took my first deep breath in what felt like days, luxuriating in the fullness of it. I arched and turned, breaking the watery plane, the midnight air on my face. Lily watched from the dock, her hand raised. The memory of her kiss was still fresh on my lips and I knew, with Lily, I was both free and imprisoned for all eternity. This is not the first mermaid book I've read, but this is the first mermaid book where they aren't singing on rocks and rescuing prince's from sunken ships. These mermaids are dangerous. They are murders. Jealous creatures that drown their victims when they are at their peek of happiness so they can absorb said happiness into themselves. Fun bunch, right? Calder and his sisters have been searching for Jason Hancock for decades. He is responsible for the death of their mother and they are desperate for revenge. When they finally find him and his family, they devise a plan to get Hancock out into the water once Calder gets close to one of his daughters, either Lily or Sophie. Originally planning to use Sophie, Calder changes his mind to Lily after seeing the bond between her and Hancock. Anne is a talented writer using both clear descriptions and engrossing main characters. I wish the secondary characters had a bit more depth to them as they all seemed a bit flat and, for some of them, I didn't really see their importance. They were just kind of . . . there. The romance doesn't become a factor until closer to the end of the novel. What I enjoy about this romance is that Lily doesn't immediately fall for Calder. She knows there is something off about him and avoids him, trusting her gut and not falling for the creepy stalker. It takes him a while to gain her trust, even after he proves it to an exceptional degree. Lies Beneath is dark. These mermaids are out for revenge, for blood, and their own personal brand of justice. 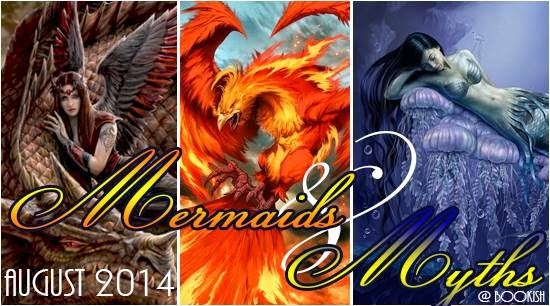 Anne's take on mermaid mythology is wonderfully different. 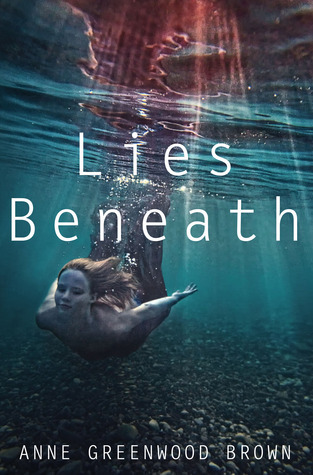 She explains that ever gnawing question of just how mercreatures are born, gives them the ability to walk on land while giving them the need to be in water, and gives them the perfect mix of beauty and danger.